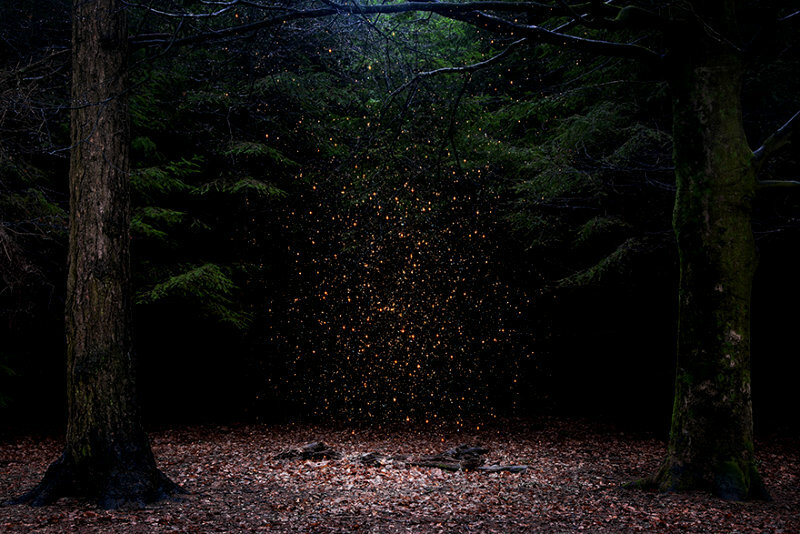 Ellie Davies’ studio is the forest, creating magical, fairytale-like stills throughout the United Kingdom. Davies has been exploring this terrain for the past seven years, attempting to uncover the complex interrelationships between landscape and the individual. 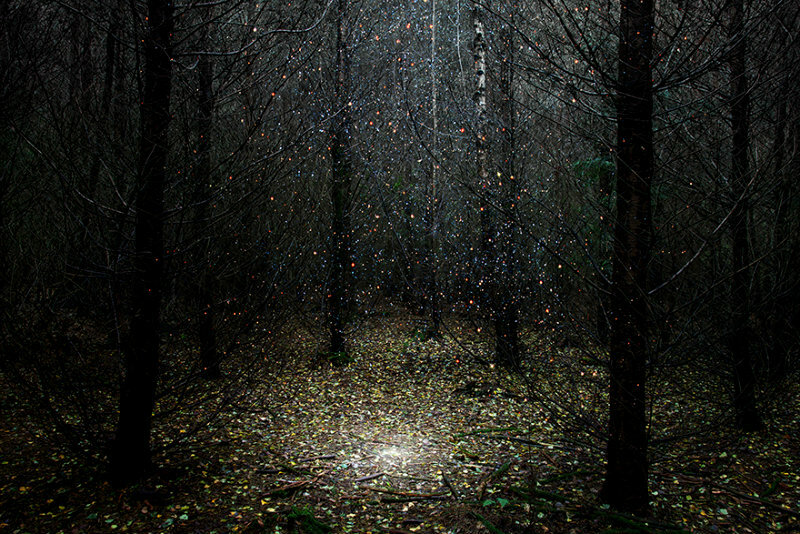 Davies creates both temporary and non-invasive interventions within each forested scene. By incorporating pools of light, smoke, and craft materials she places the viewer in the liminal space between reality and fantasy, a re-exploration of the natural world around us. In her series Stars, the artist overlays her own photography with stars plucked from imagery taken by the Hubble space telescope. These mystical images are created in order to encourage pause, and provoke thoughts about how landscapes influences our identity. 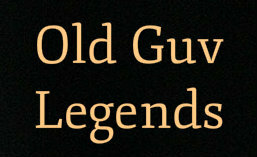 Davies lives in London and received her MA in Photography from London College of Communications in 2008. She is represented by several international galleries including A.Galerie in Paris, Crane Kalman Brighton, Sophie Maree Gallery in The Netherlands, Brucie Collections in Kiev, and Art Gemini, Singapore. 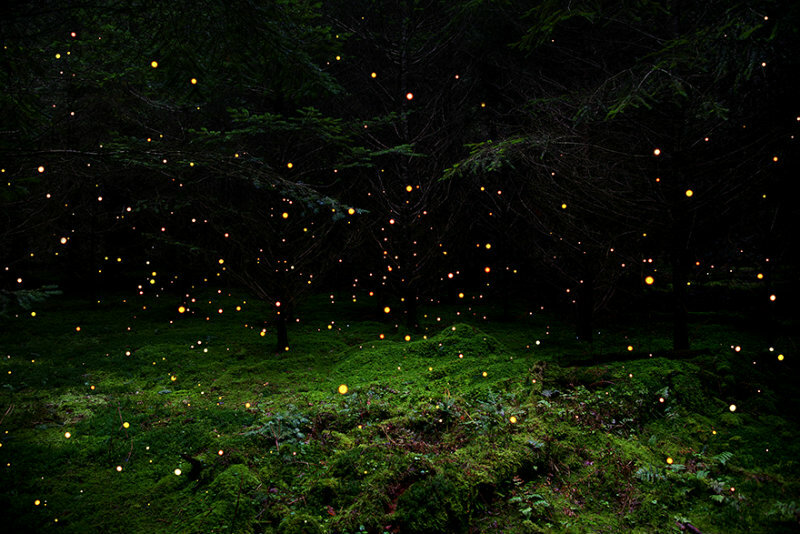 via Ellie Davies Creates Forest Landscapes Illuminated with Fields of Stars and Smoke | Colossal. ← Brumby Stallion by Michelle J.